Here’s our list of the hottest fall accessories to get your hands on before they’re gone. 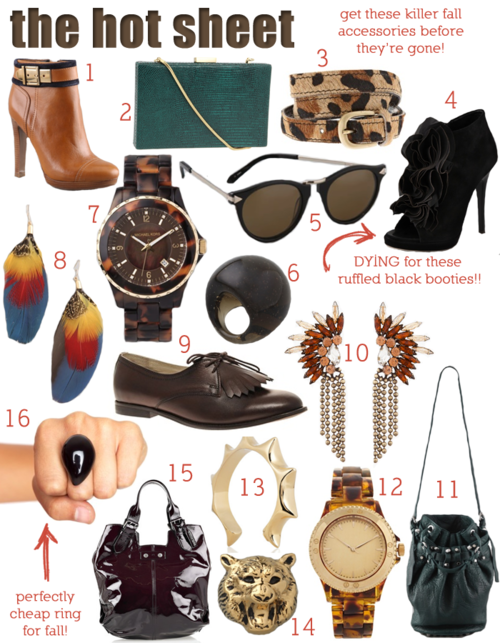 We’re seeing lots of feathers, deep turquoise, and statement earrings! Yes, it’s a little early, but get while the getting’s good!